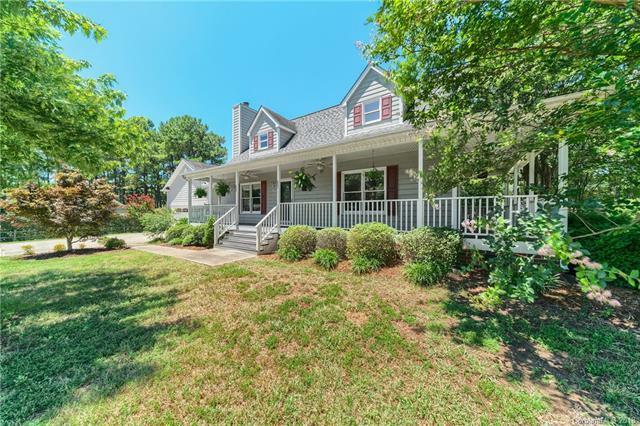 4401 Mackenzie Court SW #8, Concord, NC 28027 (#3411493) :: Robert Greene Real Estate, Inc.
Beautiful home in Morris Glen cul-de-sac. This charmer has so much to offer! Please be sure to watch the WALK-THRU VIDEO. You will love your new gourmet kitchen equipped with a gas range, stainless steel appliances, and a large peninsula island. Walk out to your private/fenced backyard to enjoy your deck, right off the main dining area. Main floor master suite offers a large ensuite that includes a walk-in closet, soaking tub and enjoy beautiful French doors that open to the wrap-around porch. Indulge in relaxing mornings/evenings on your front porch swing. The upper level has 2 spacious bedrooms, full bath and loft area that is great for an away space or small office. This home also has a 2nd covered porch just off the garage that opens to the mudroom/flex space and laundry room. Garage has loft area for extra storage, tankless water heater, and new carpet downstairs. Speedway Club Membership is Included.